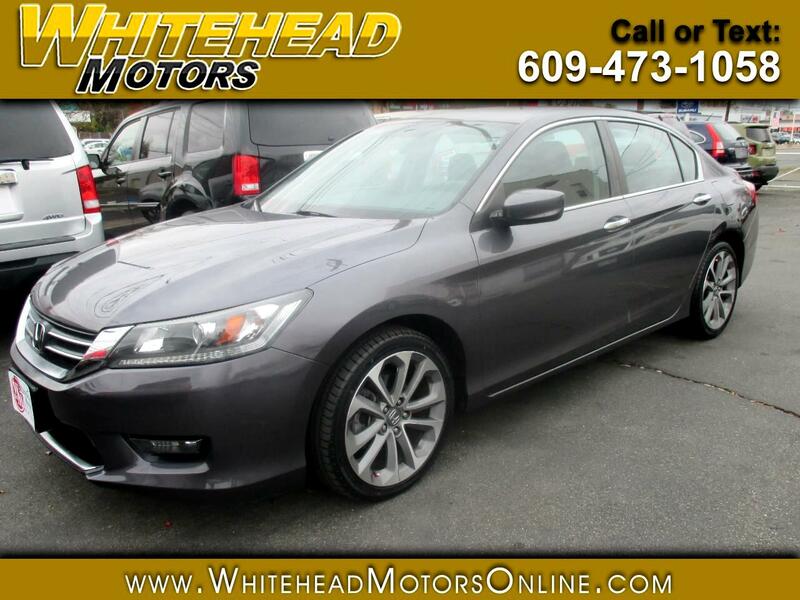 Dressed to impress in dynamite Modern Steel Metallic, our Accident Free 2014 Honda Accord Sport Sedan is synonymous with reliability, comfort, and performance! A 2.4 Liter 4 Cylinder produces a solid and responsive 189hp on demand paired with a CVT for responsive acceleration. This Front Wheel Drive Sedan will reward you with near 36mpg on the open road. Masterfully engineered, our Accord continues to be the gold standard in form meeting function and its composed, quiet ride has garnered multiple accolades. Check out the bold grille, fog lamps, dual bright-tip exhaust, and rear lip spoiler that accent our Accord Sport's stunning silhouette. Open the door to our Accord Sport cabin and find the comfortable interior offers ample passenger space and a multi-functional display communicates with the car's technology to be your official command center and to provide you with a personalized driving experience at your fingertips with a leather-wrapped steering wheel with mounted controls/paddle shifters. You'll appreciate keyless entry, a power driver seat, dual-zone automatic climate control, full power accessories, Bluetooth, and a sound system with iPod/USB integration and Pandora functionality. Thanks to Honda's advanced compatibility engineering body structure, stability control, a rear view camera, numerous airbags, and responsive braking, you can have the peace of mind knowing you'll be kept out of harm's way in this solid sedan. The quality engineering behind this Accord makes it the obvious choice. Print this page and call us Now... We Know You Will Enjoy Your Test Drive Towards Ownership! Get Approved In Minutes at Whitehead Motors. We Make Car Buying Easy.